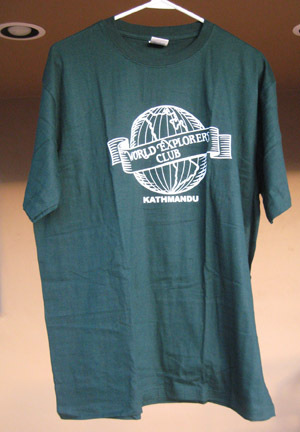 The popular Kathmandu World Explorer T-shirt in natural cotton with our explorers logo on the front. All cotton and made in Nepal. Comes in Medium, L, XL, and XXL. Please specify shirt size at check-out. Free stickers with every order! And Free Shipping!